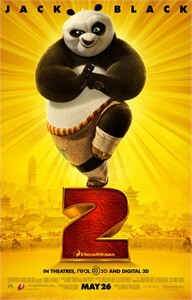 Roughly 11 by 17 inch mini movie poster for the 2011 animated sequel Kung Fu Panda 2 starring the voice of Jack Black. MINT. ONLY A COUPLE LEFT.